Tuesday was a bitterly cold day here in southwest Ohio, the second of two heavy snowfalls imminent, and I was craving macaroni and cheese. I normally make a reduced-fat version (https://lillianscupboard.wordpress.com/2008/02/29/shannons-macaroni-and-cheese/) but on a day like this, I wanted all of the cheese I could get. I came up with this version which my daughters and I really enjoyed. 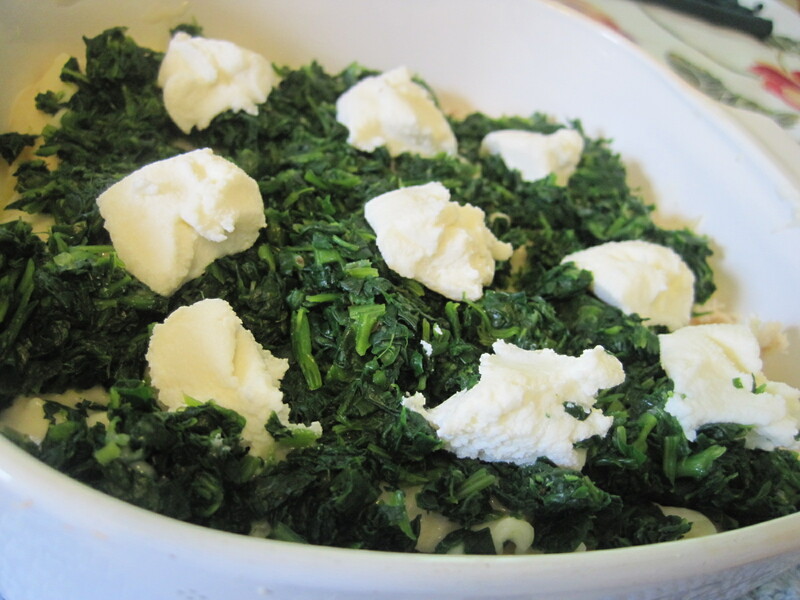 In the bottom of a microwave-safe baking dish, place the cream cheese and microwave for 45 seconds, until cheese is very soft. Stir in the grated cheddar, milk, salt, dry mustard and black pepper. 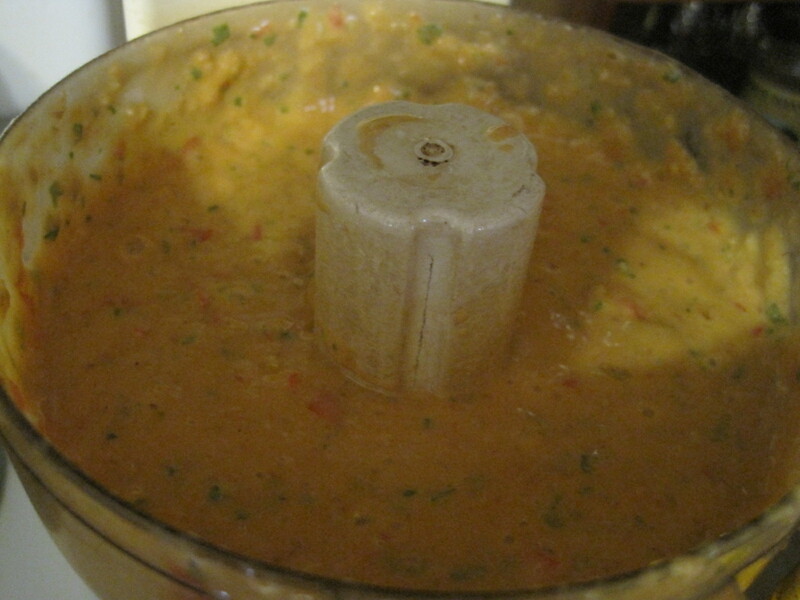 Add cooked, drained macaroni and stir to blend. 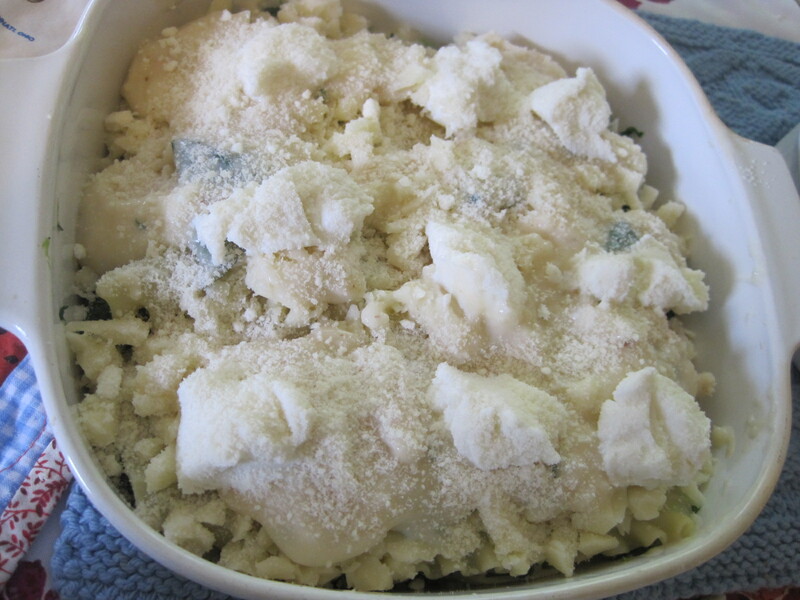 Sprinkle grated Parmesan cheese on top. Bake @ 350 degrees F for 30 minutes. The macaroni was served with chicken breast which had been sprinkled with olive oil and herbs, and baked a covered pan at the same time as the macaroni casserole. 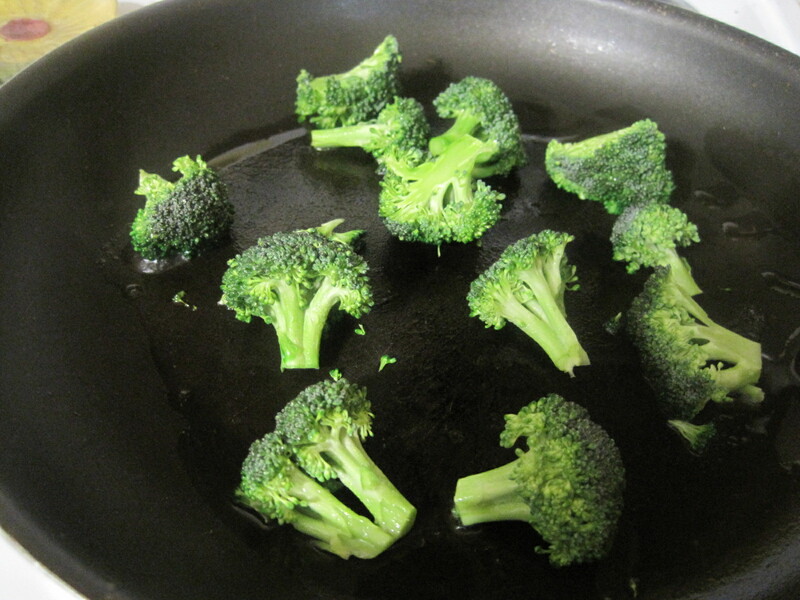 We also had some steamed broccoli and carrots. Delicious snowy-day meal. 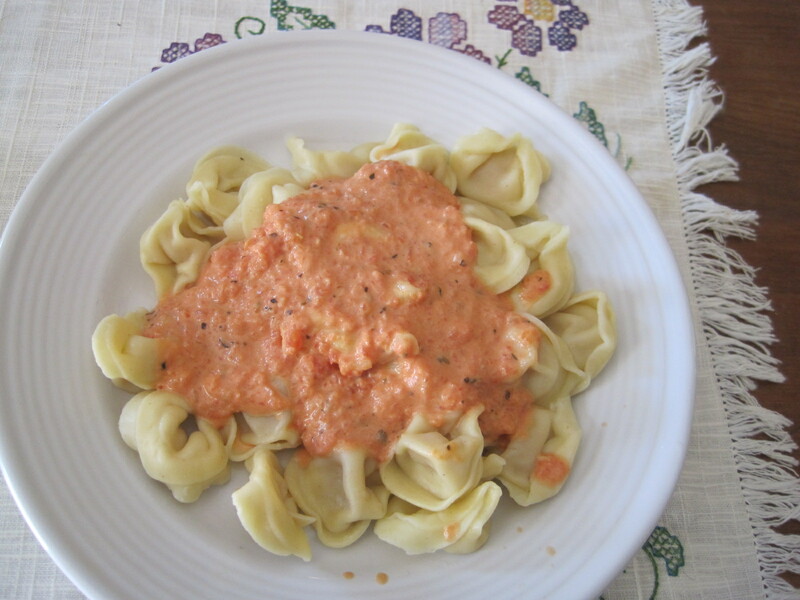 The use of canned tomatoes and whipping cream was intriguing in this recipe. 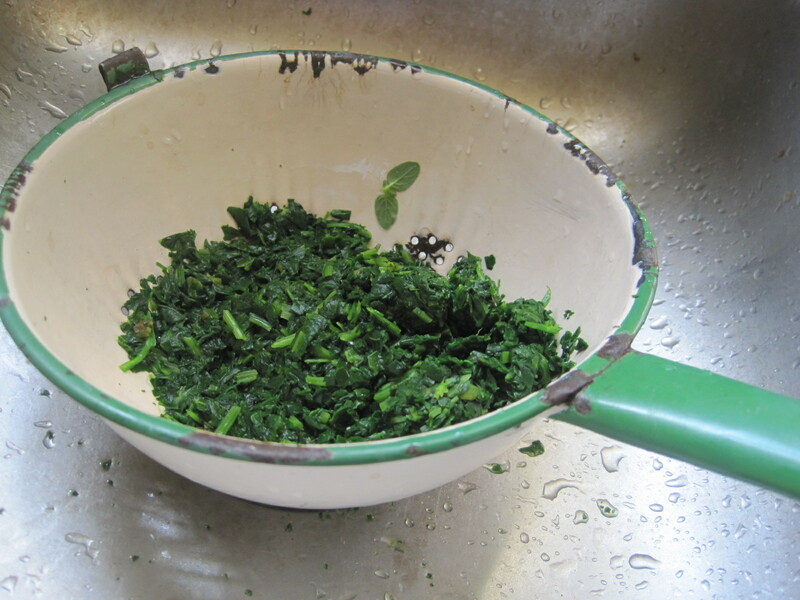 I made the preparation even easier by using dried minced onions and minced garlic in a jar. 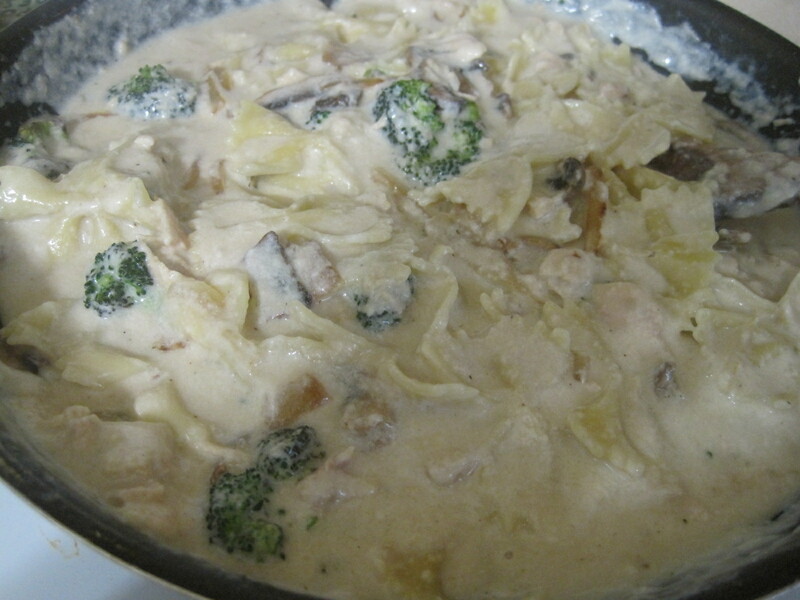 This is a mild, creamy sauce that is a nice change from the more robust kinds. My daughters and I enjoyed this over fresh tortellini. In a medium saucepan, place tomatoes, dried minced onions, minced garlic, and dried herbs. Bring this mixture to a simmer and turn heat to medium low. Simmer for about 20 minutes, stirring occasionally. Add the butter and brown sugar and cook for 5 minutes longer, stirring. 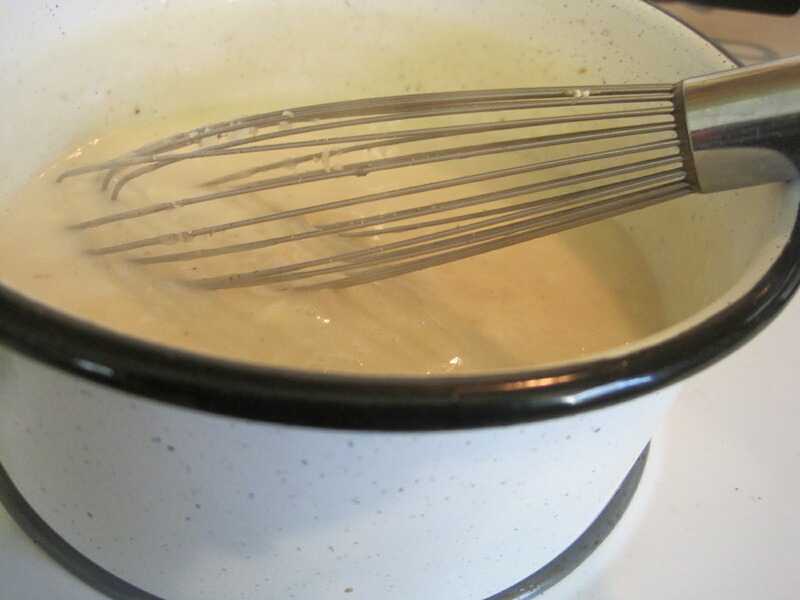 Add cream, stirring until blended. Add salt/pepper to taste. Remove from heat and serve immediately over hot pasta. We had two surprises in our garden this summer. A big surprise was the appearance of volunteer cherry and pear tomato plants. 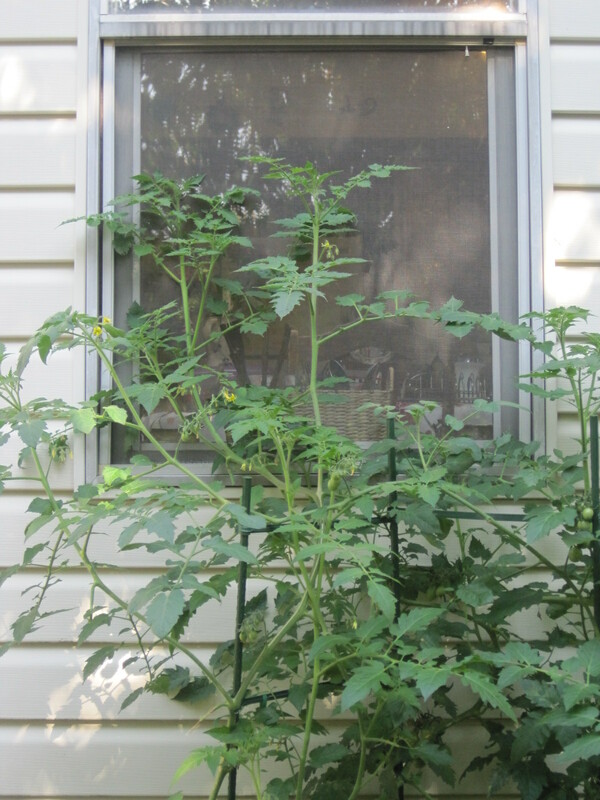 I haven’t planted tomatoes for 3 or 4 years and was delighted to see strong, vigorous plants growing. 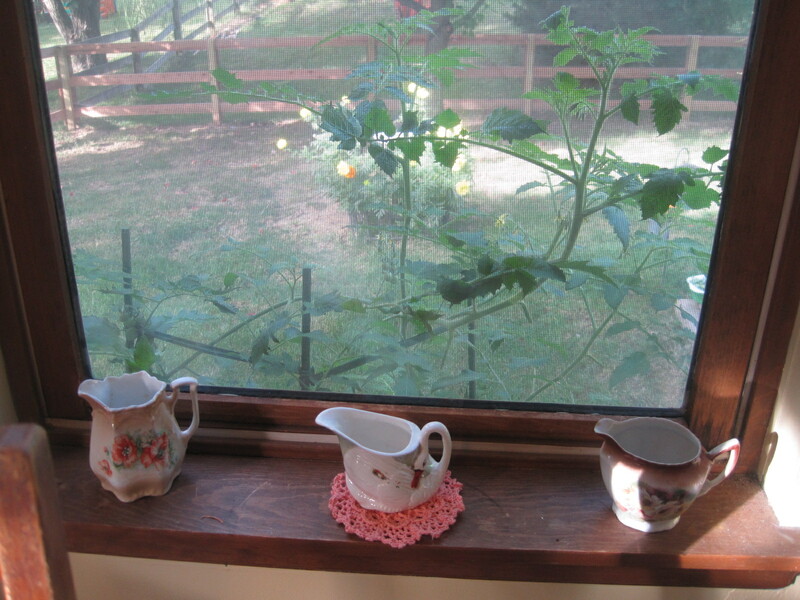 A plant with little yellow pear tomatoes grew tall enough to bloom and produce right outside my kitchen window. 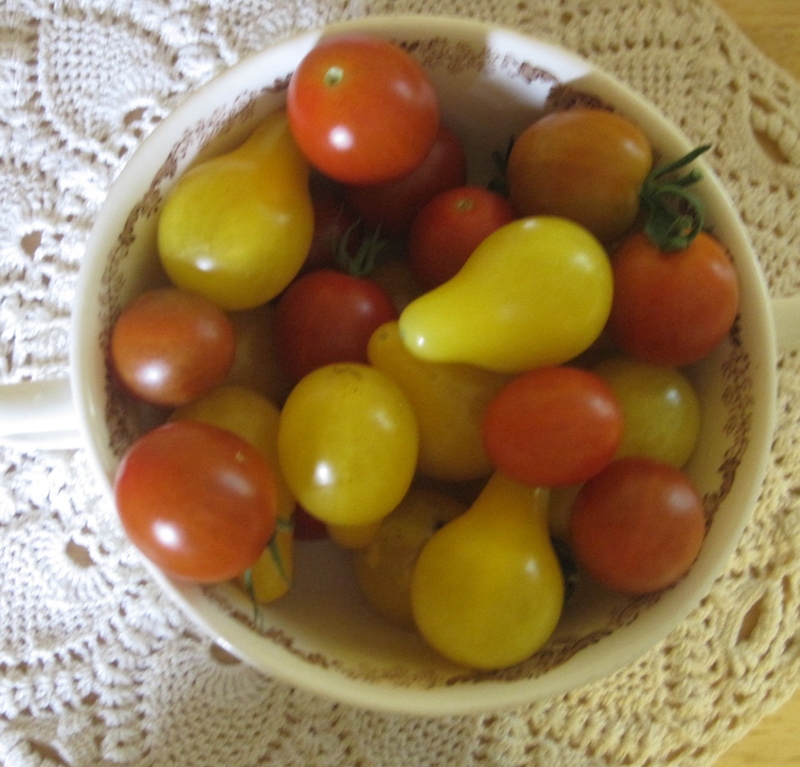 Every day, my daughter picked a bowl of delicious, fresh tomatoes and I started looking for ways to use them other than in a salad. 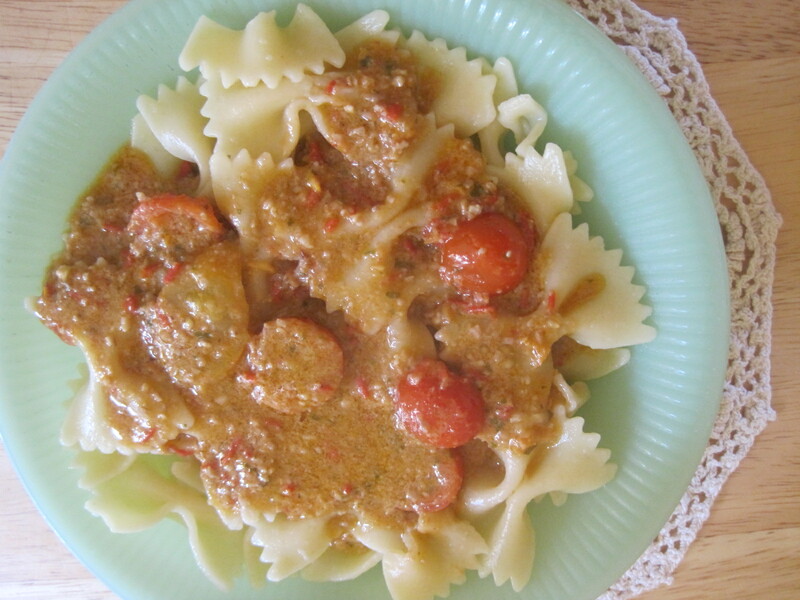 This tomato pasta sauce is delicious and worth trying if you still have cherry tomatoes hanging on in your garden. 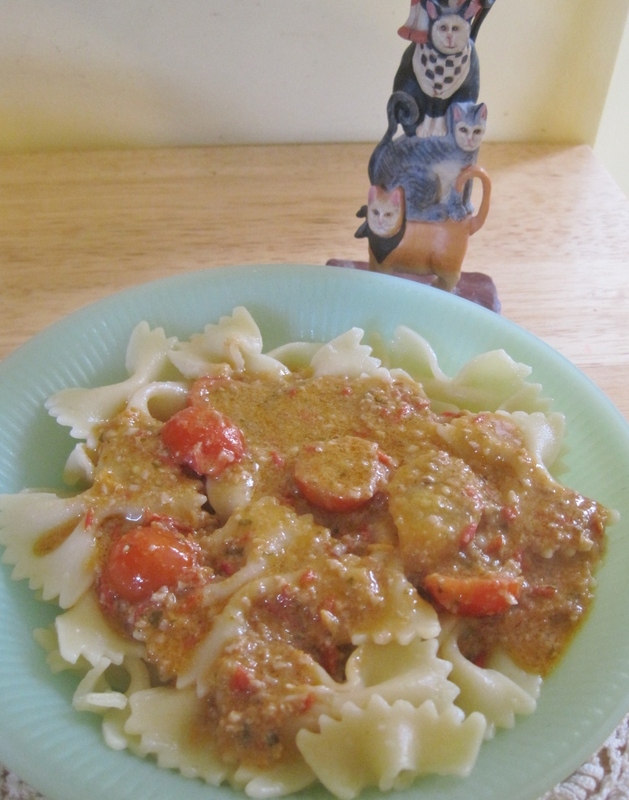 It’s good enough that I’ll buy cherry tomatoes in the winter so we can have this sauce often. 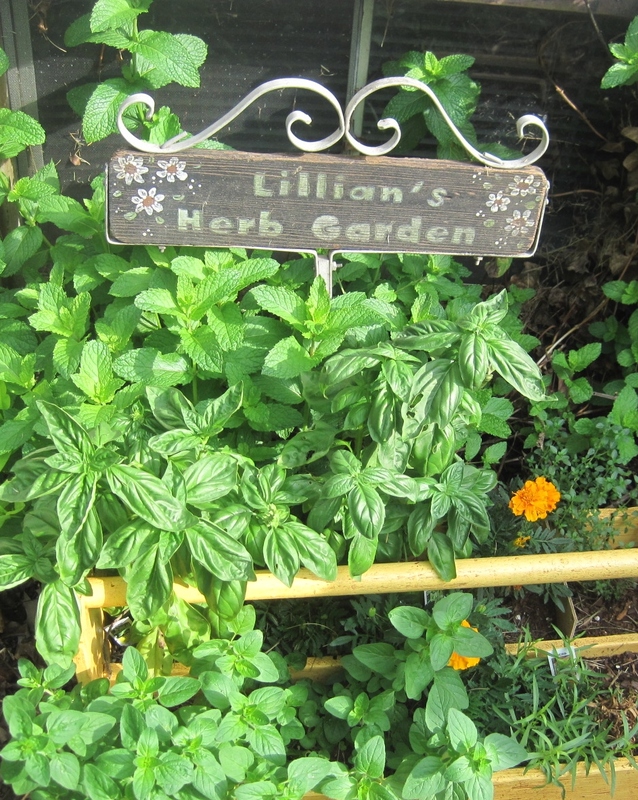 The pesto portion was adapted from a recipe on Lidia’s Italy and the sauce is one that I make often. 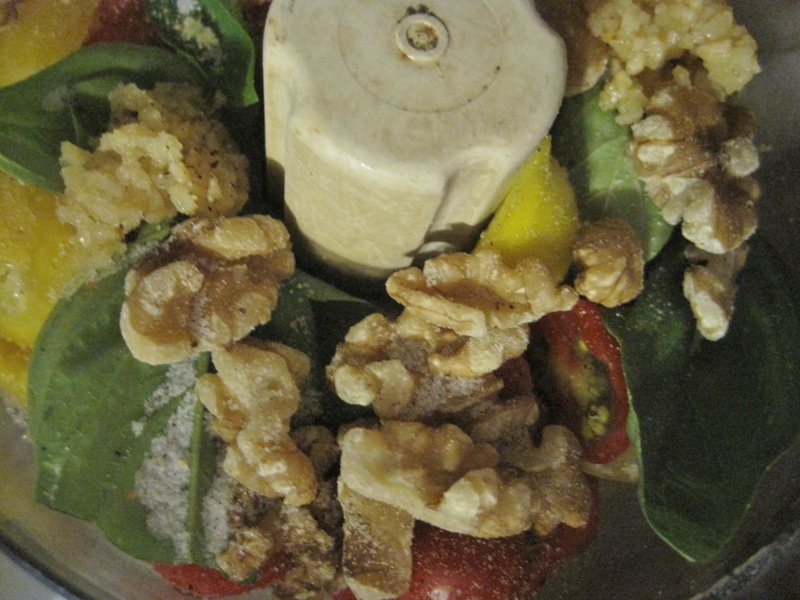 In a food processor, place tomatoes, basil, walnuts, garlic, salt and pepper. Process until everything is finely minced. Gradually add olive oil and process until mixture is smooth. In a large skillet, heat butter and olive oil. Add garlic and saute until lightly brown. 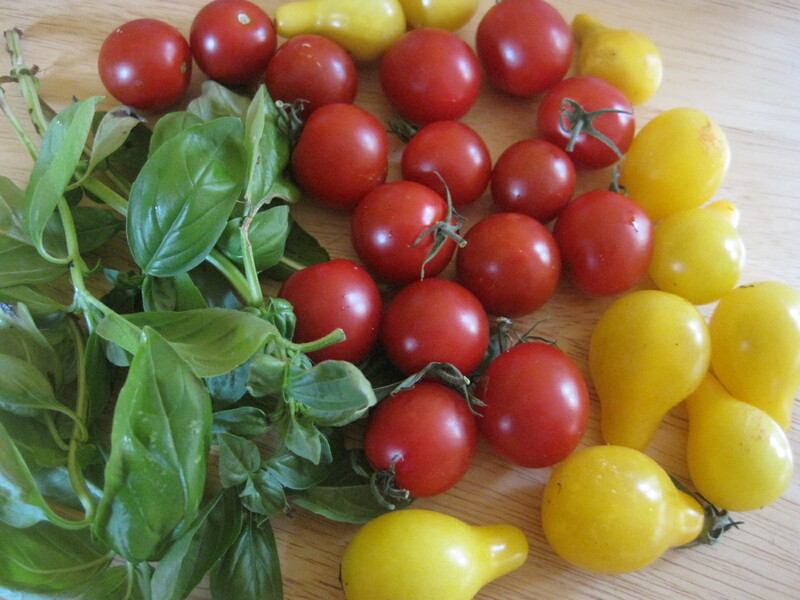 Add wine, lemon juice, pepper and ½ cup of halved tomatoes. Stir in pesto and heat until mixture is piping hot. The second surprise was what grew up around a bird bath in the back yard. 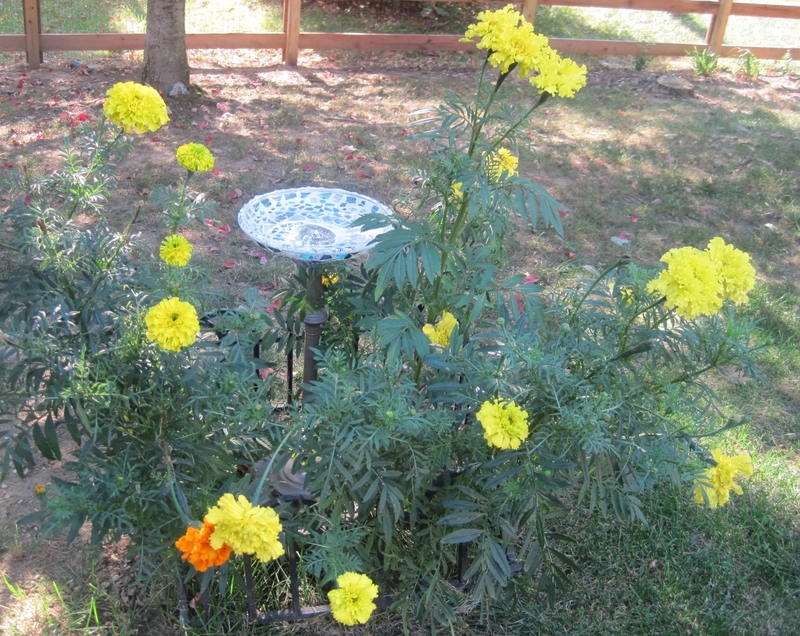 My daughter thought she had picked up a packet of small marigolds to brighten up the bottom base of the bird bath, but the flowers kept growing until they extended well above it and produced some gorgeous, huge orange and yellow flowers. 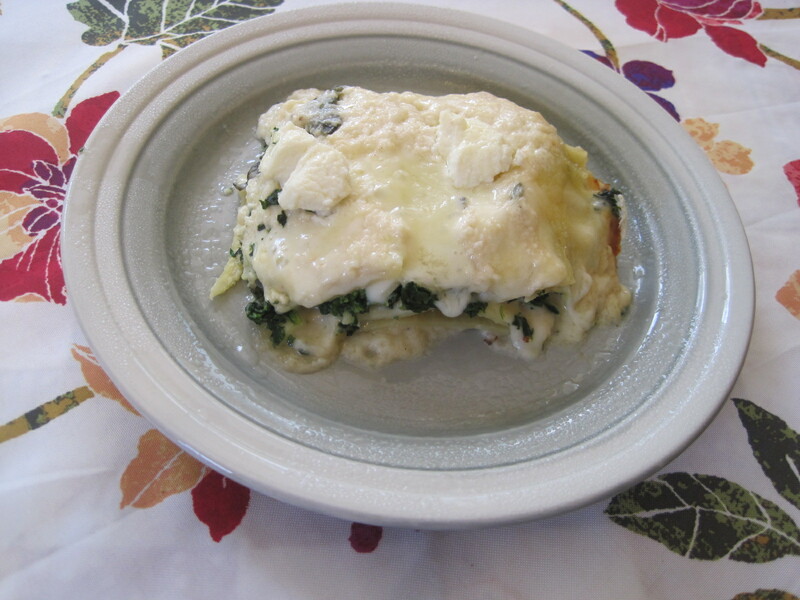 This recipe is adapted from one in a beautiful Crabtree & Evelyn (England) cookbook. 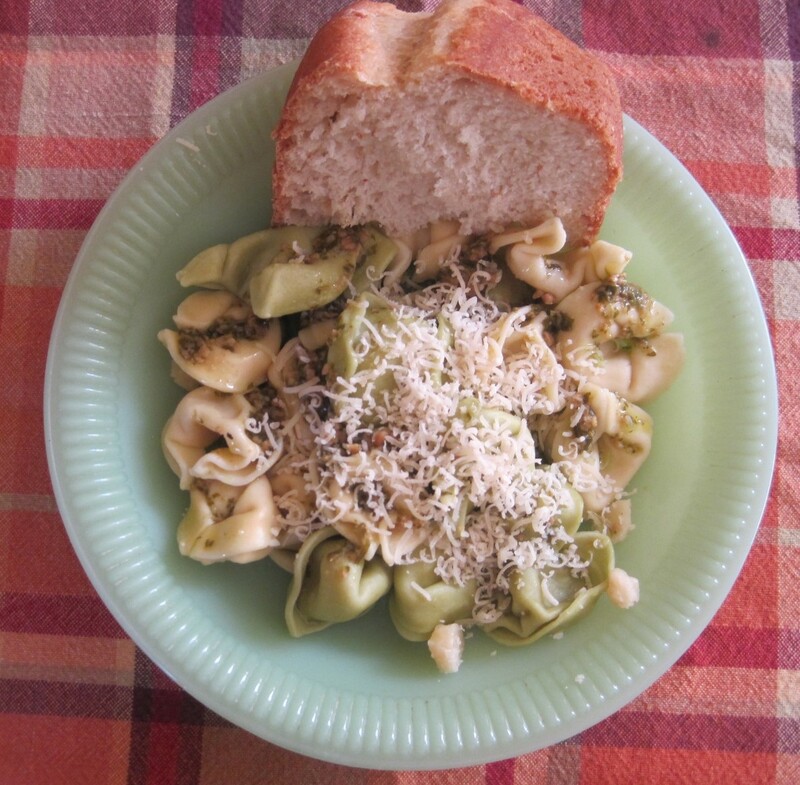 It was originally an appetizer recipe and I added a favorite sauce to the pesto to make a very flavorful topping for pasta. Sauce can be made in advance. Refrigerate and warm over low heat before serving. 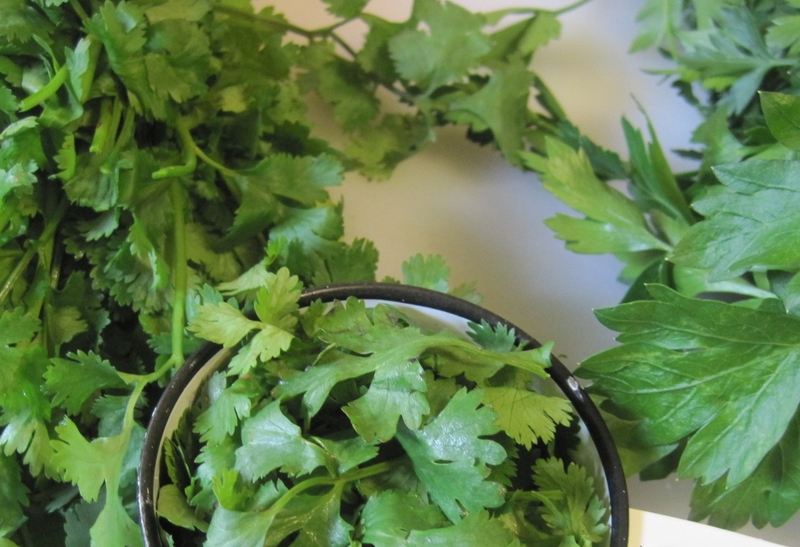 In food processor, pulse peanuts, then add parsley and cilantro and pulse to produce coarse paste. With motor on, drizzle oil and vinegar through feed tube. Add salt/pepper and process briefly to blend. Set aside. Melt butter in oil, saute garlic briefly. Add wine, boil gently 2-3 minutes. Stir in lemon juice and pepper. 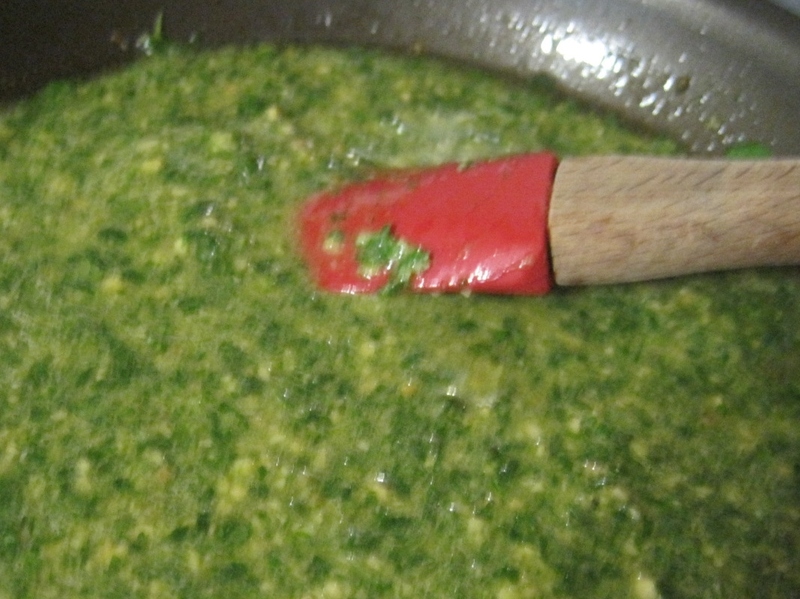 Stir the pesto into the sauce. Sauce should be hot when served. Bring large pot of salted water to a boil. Add 1 Tblsp. 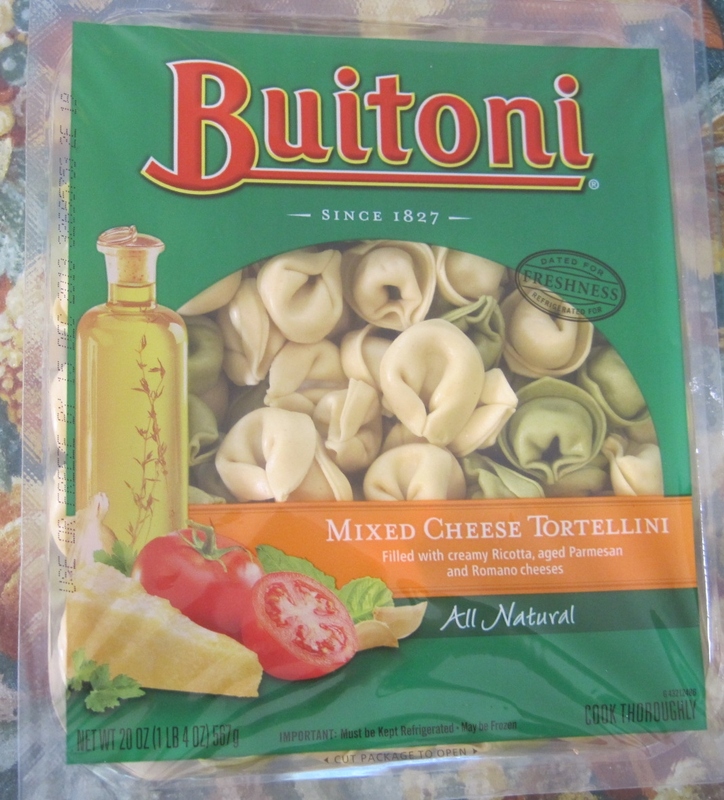 olive oil and tortellini to boiling water and cook until pasta is tender – al dente, stirring occasionally. Drain pasta (do not rinse) and place in a large bowl. 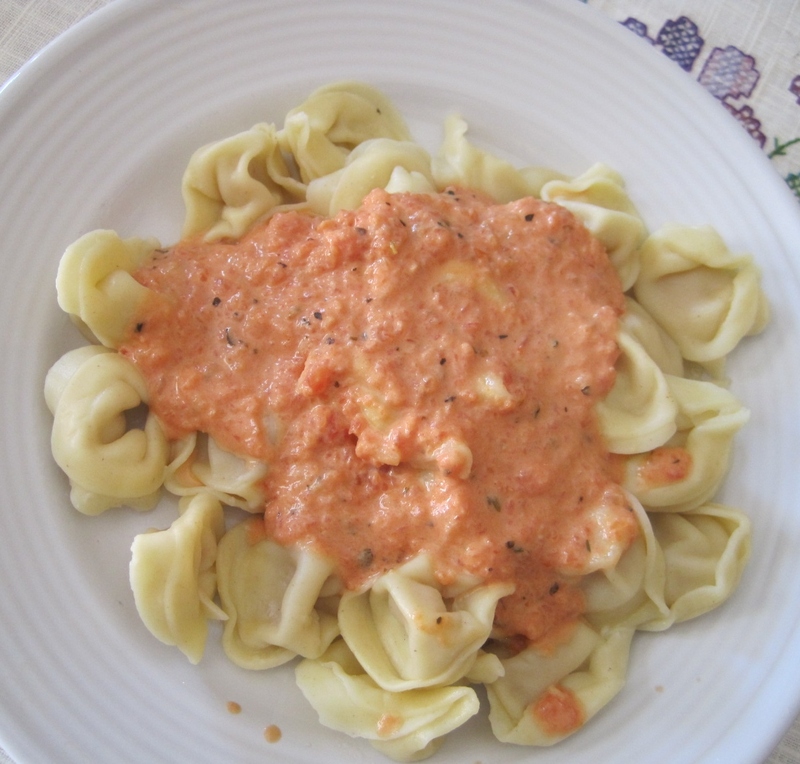 Place sauce in a small container and let each person spoon sauce over a serving of pasta. 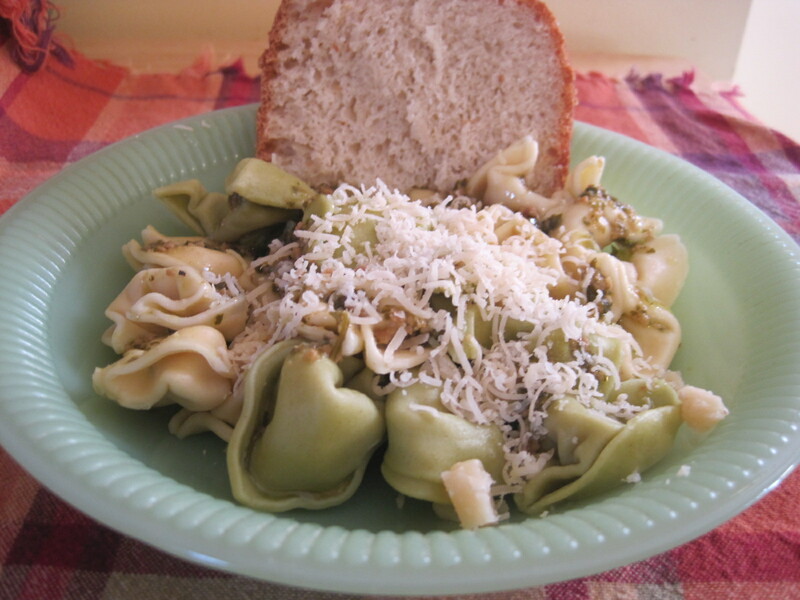 Top with grated parmesan cheese and serve with some good bread. I made a quick and easy batter loaf and cut into wedges for sopping up the good sauce. Click here for the bread recipe. 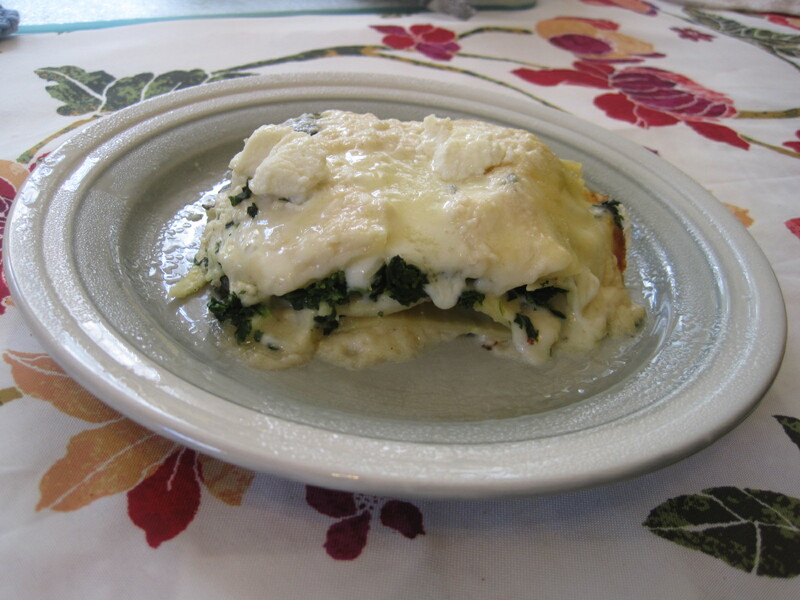 I first tried this dish in 1989, adapted from a recipe in my daughter’s Weight Watchers’ Favorites cookbook. 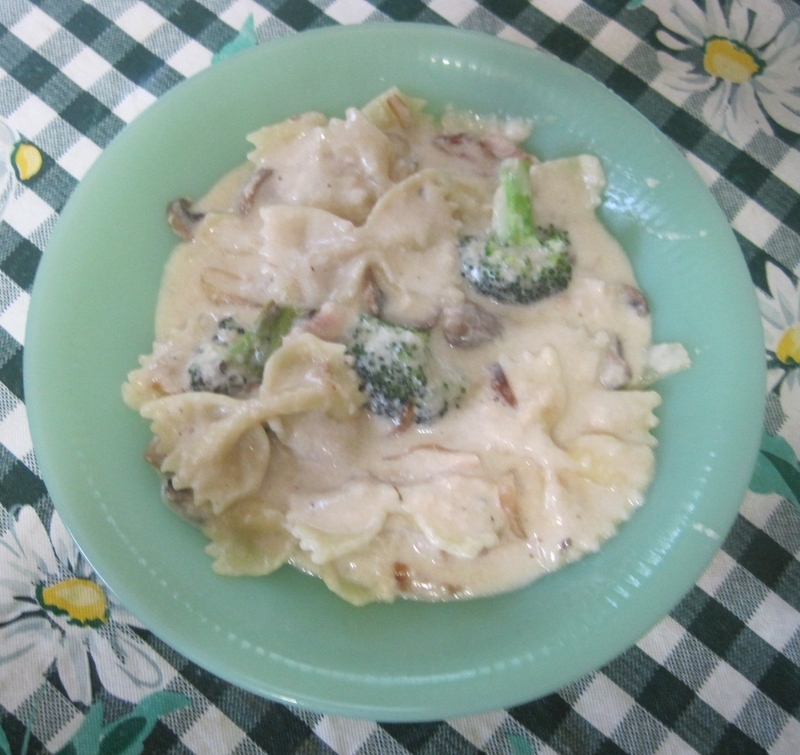 There were several recipes in that book that were reduced in fat/calories but delicious and became family favorites. The original recipe used 8 oz. 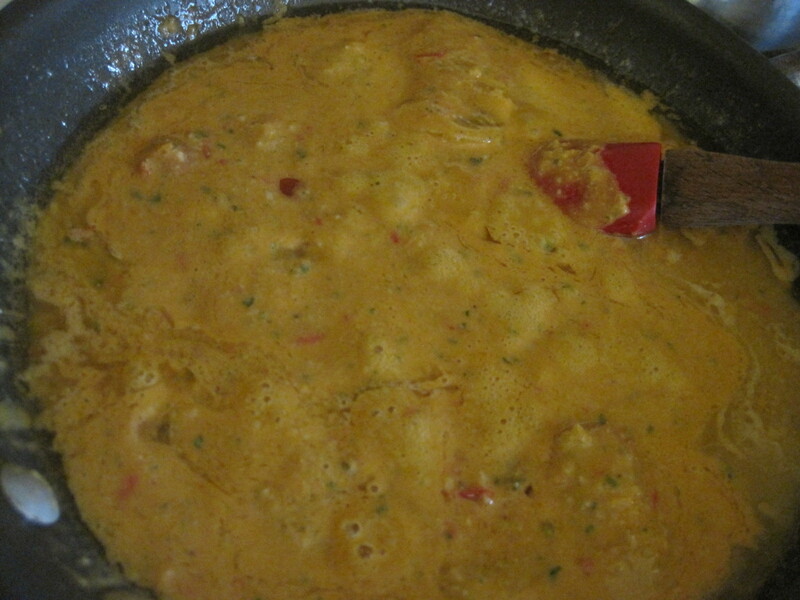 of imitation crab meat (January, 1989 – “excellent”) and I’ve also used shrimp, salmon and now this version with tuna. Cook pasta in boiling, salted water until al dente according to package directions. Drain. In a large skillet, heat 1 Tblsp. 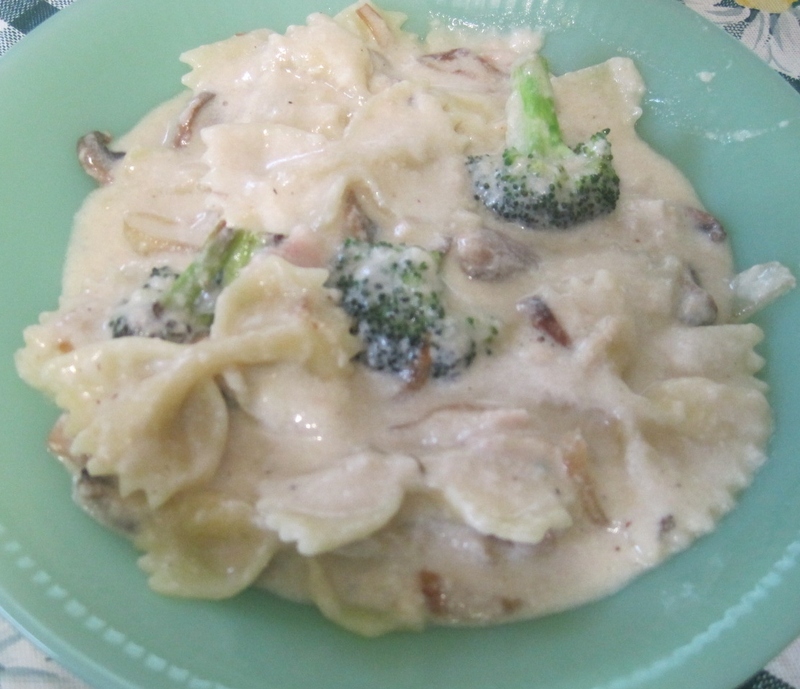 margarine/butter; add broccoli and cook over medium low heat until color has brightened. Add onions and cook until onions are starting to soften. 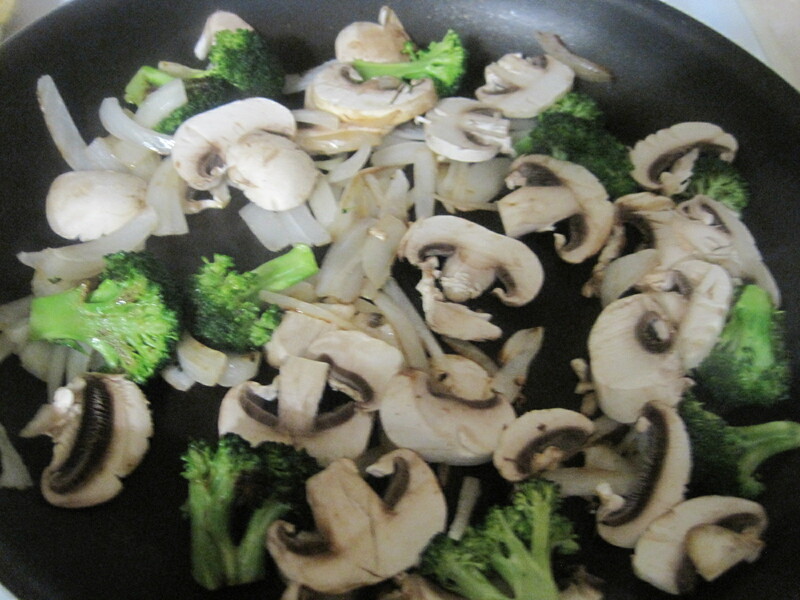 Add mushrooms and cook until all vegetables are tender. With slotted spoon remove vegetables and set aside. 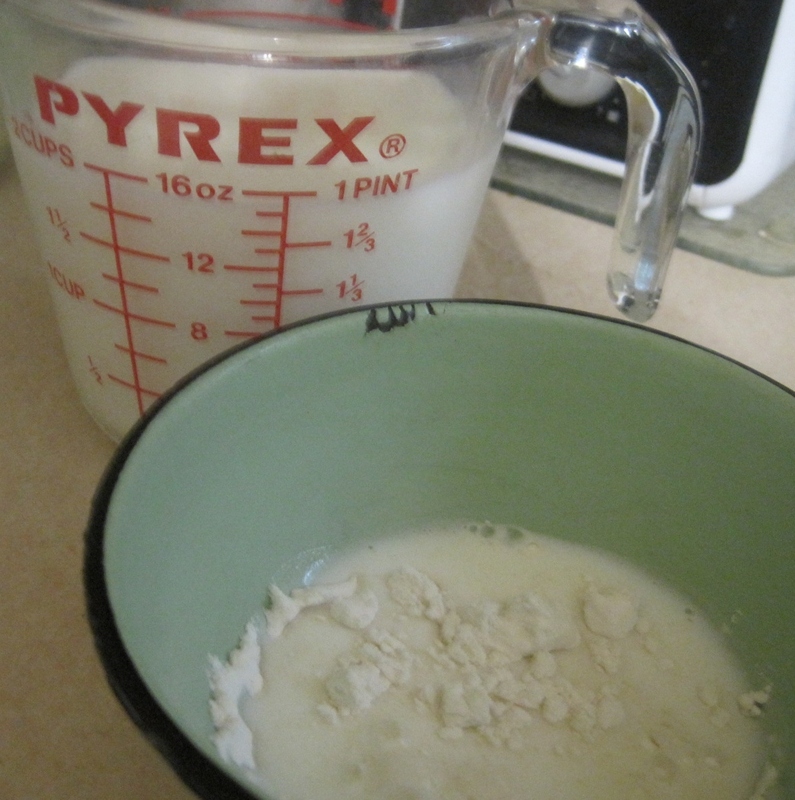 In a small bowl, place flour and add a small amount of milk to make paste. Gradually add remaining milk and stir. In same skillet heat remaining 1 Tblsp. margarine/butter. 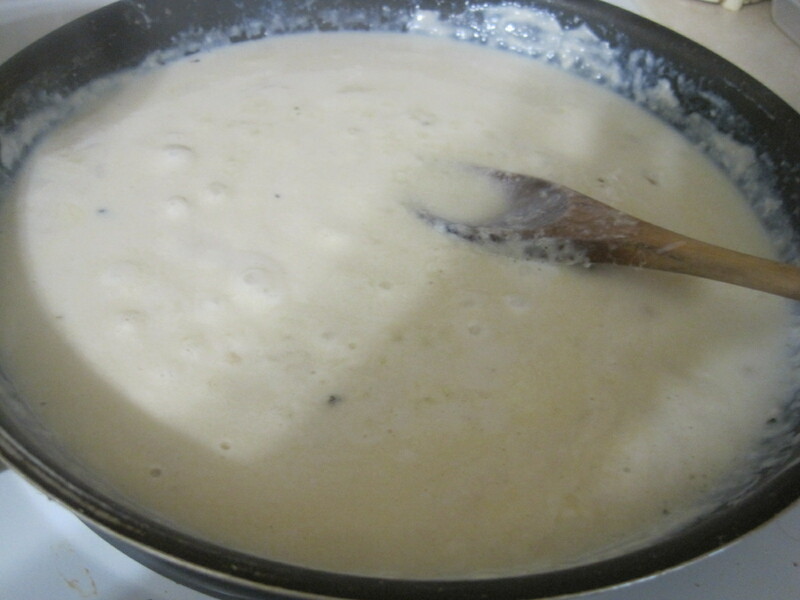 Gradually stir in milk, mix, stir constantly until smooth. 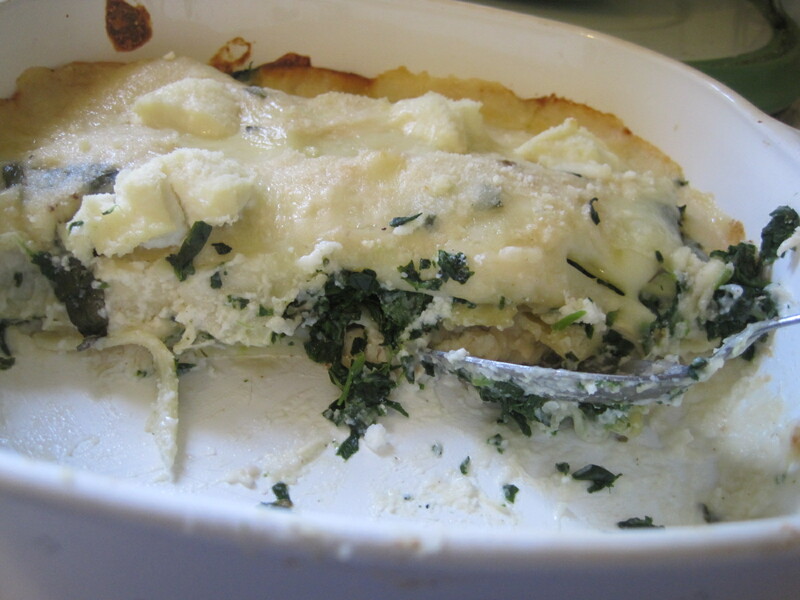 Add cheese and cook, stirring frequently until cheese is melted. Add the cooked vegetables, flaked tuna and cooked pasta. Toss gently, sprinkle with salt and pepper to taste and cook over low heat until heated through.